The latest smartphone cameras have an array of advanced features typically found only on standalone cameras, but you're not limited to the one camera you've got. 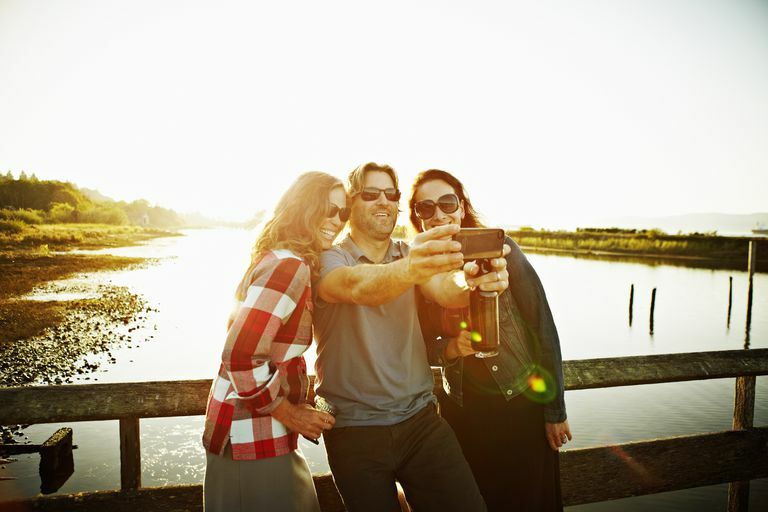 A variety of camera apps are available offering features beyond your out of the box shooter. You may already use Instagram and Snapchat, but there are many lesser-known Android apps out there that help you take your best shot and show your style. Most also make it easy to share photos or videos on social media or messaging apps. The apps listed here are free to download but have in-app purchases for premium features. There are also a few free camera apps that don't have any paid features but still have some advanced tools. For a vast number of filters and editing tools, try VSCO by VSCO. The free app includes community features, so you can connect and share your images with other members. VSCO requires you to sign up with either your email address or phone number, and you have to create a display name. There's a seven-day free trial for VSCO X ($19.99 per year) which includes early access to new features, exclusive filters, and an array of advanced tools. This app has an Editors' Choice award from the Google Play Store. Lots of advanced tools included in free version. The community is a great place to get ideas. Takes a bit to learn how to use the app and access tools. Photo Editor by Aviary has cosmetic tools, stickers, and common photo editing tools for free. In 2014, Adobe acquired the app, so you can use your Adobe login to access community features. You can adjust everything from color temperature to color balance, draw on photos and add text, and create memes. (Go viral!) The app also has redeye and blemish removal and even a teeth whitening tool. In-app purchases include some filters and effects for 0.99 cents each. Has a considerable selection of free filters, effects, and stickers. A collage button in the app links to a different Adobe app. Camera MX (free with in-app purchases; $0.99 - $1.99) is a favorite app that's been around for quite a while. Features include a "shoot the past" function, which saves a series of shots and then lets you choose which one is best. It's a great feature when dealing with action shots or fidgety subjects. The app also has a timer, so you can prop your phone up and capture group shots. The burst mode lets you choose your favorite shots. It comes with editing features and a handful of scene modes, such as sunset and snow. May not support dual lens smartphone cameras. Put your best selfie forward with the Z Camera app, which has an extensive library of photo effects, stickers, face swap, a hairstyle editor, makeup, muscle building, and a body and face shape editor. The free app also has augmented reality stickers. In-app purchases include two subscription options: $4.99 per month for one year or $9.99 for a month. There's also a three-day trial you can take advantage of for free. There's an array of editing tools and special effects. No free version is available other than the limited trial. GIFs are fun to share, but they can be tedious to create, especially if you want to make one out of your images. GIF Maker and Editor makes it easier to make GIFs and edit existing ones courtesy of Giphy. You can also edit GIFs, changing the aspect ratio and speed, adding filters and effects, frames, stickers, and more. Then you can share your final product on social media or through a messaging app. The free version of the app is ad-supported; for $2.99 you can remove them. Makes it easy to create GIFs. The free Photoshop Lightroom app has an array of editing features, similar to what you'll find on the desktop app. You can shoot images, including RAW, uncompressed images, straight from the app, and preview preset effects. The app has a selection of premium features, from $4.99 to $9.99, which includes AI-powered auto-tagging and the ability to make edits using a stylus or your finger. You also have full access to Adobe's community features. Can capture and edit photos with advanced tools. RAW image capture gives you more editing power. Might be overkill for novices. FilmoraGo is a video editing app that's optimized for social media sharing and gets an Editors' Choice award from Google Play. You can edit your videos to fit the specifications of Facebook, Google, and Instagram, and share your final cuts directly to those platforms. The app has many of the standard effects you'd expect from a video editing platform including transitions, filters, overlays, titles, and picture-in-picture. You can also change the video speed, trim and crop, rotate the picture, and adjust saturation, contrast, sharpness, color temperature, and more. There's also a Filmora program for desktops. In-app purchases include removing the company's logo from your videos ($1.99) and packs of video transitions that you can add ($1.99 each for Vogue and Fashion packs). Loads of editing tools and effects. Takes some time to figure it out.